We have been the specialist in the line of acoustics parts since 1978. 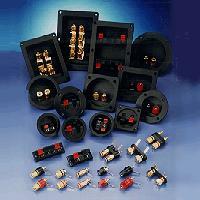 Our products are always used by many brand name speaker manufactures throughout the world (ex. JBL, B+W, Goodman, MC instoch, warfedale, Boston acoustics, infinity, LINN, KEF, celestial etc).